Welcome to our four-part blog series titled Changing Landscapes that takes us on the journey into London’s archaeological past! Although there are hundreds of archaeological sites located throughout London and its surrounding area, we are going to focus on four sites in this series. These sites are featured in our feature exhibition Changing Landscapes: Unearthing London’s Past until April 2016 and highlights archaeology in London. Before we dive into specific sites, let’s consider why these sites are excavated. The archaeological process in Ontario is not as simple as picking up a trowel and digging a square! The process is guided by rules and regulations set by the Ministry of Tourism, Culture, and Sport under the Ontario Heritage Act. Since 1974, this act has defined the process that evaluates, investigates, and manages the cultural heritage resources of our province. Construction is one of the driving forces behind archaeology. New developments such as subdivisions, road widening, and sewer lines can all lead to excavation, offering archaeologists the opportunity to study portions of London’s history. Contracting parties, like developers, hire Cultural Resource Management (CRM) firms to perform an archaeological assessment and see if the proposed development will impact any archaeological settlements. If archaeological sites are found steps are taken to understand the heritage value of a site. Then an archaeological investigation can be conducted to collect and preserve cultural heritage information. 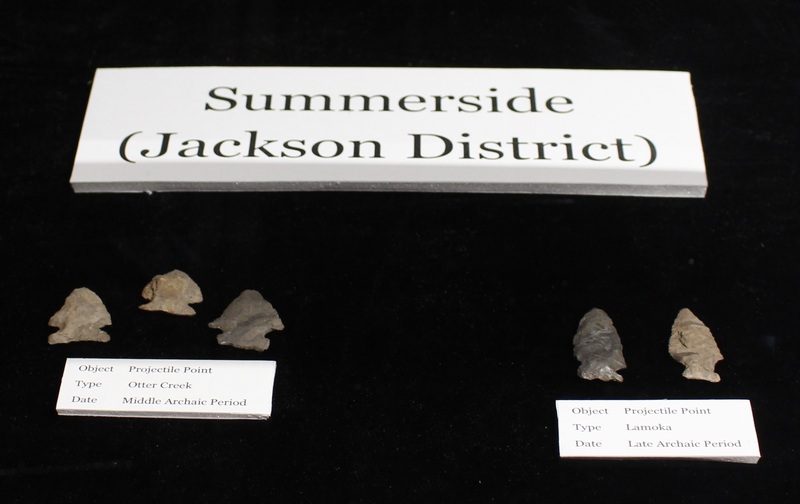 Let’s begin our journey with the oldest and most continually used site in our exhibit: Jackson District/ Summerside! Summerside is a large subdivision development in southeast London that is in the process of becoming a community of 15,000 people. During the 19th and 20th centuries, the area was extensively farmed by pioneers tied to local towns, such as the historic community of Jackson. Before that, the site sustained Aboriginal peoples for nearly 11,000 years. 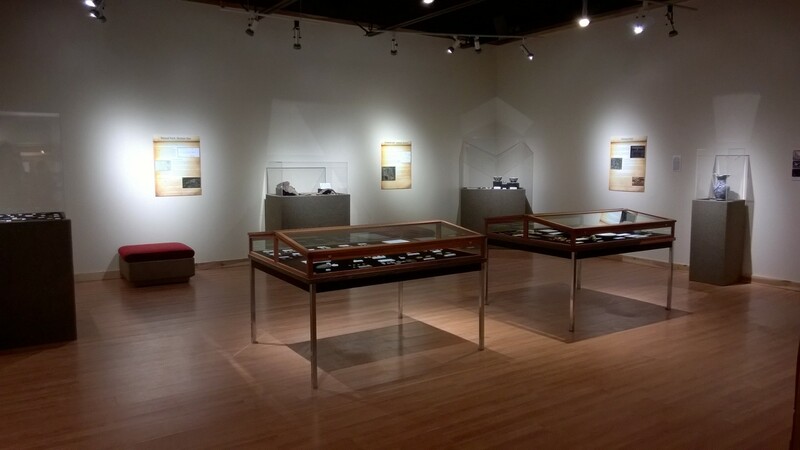 The first archaeological investigations of Summerside occurred in the 1980’s, although the site was known to archaeologist William Wintemburg in the early 1900’s. In 1981, while surveying the lands, a previously unknown Iroquoian settlement was discovered and later named Brian Site. Surveys on this 3 to 4 acre site revealed middens and hearths, possibly associated with longhouses. Based on the style and the types of artifacts found, the site was likely occupied around 1500 AD. In addition to the survey of Brian site in 1981/82, MOA also surveyed two parcels of land in the northwest and northeast corners of Summerside. These investigations resulted in the discovery of seven new archaeological sites! The sites found include a Middle Archaic camp dating to around 2500 BCE, and a multi-component camp dating from the Early Archaic (8000-7500 BCE) and Transitional Archaic (1600-1400 BCE) through to the Early Woodland period (900-400 BCE). In 1988, the remaining land was surveyed by the museum. Another 49 archaeological sites were discovered! Twelve of these sites had diagnostic artifacts (these are artifacts that are indicative of a certain period)s. The diagnostic artifacts that were found collectively represented an 11,000 year occupation date for the area. Once development began on Summerside, Brian site was set aside as a green space, protecting it from any future development.